in blues, purples and russet browns. 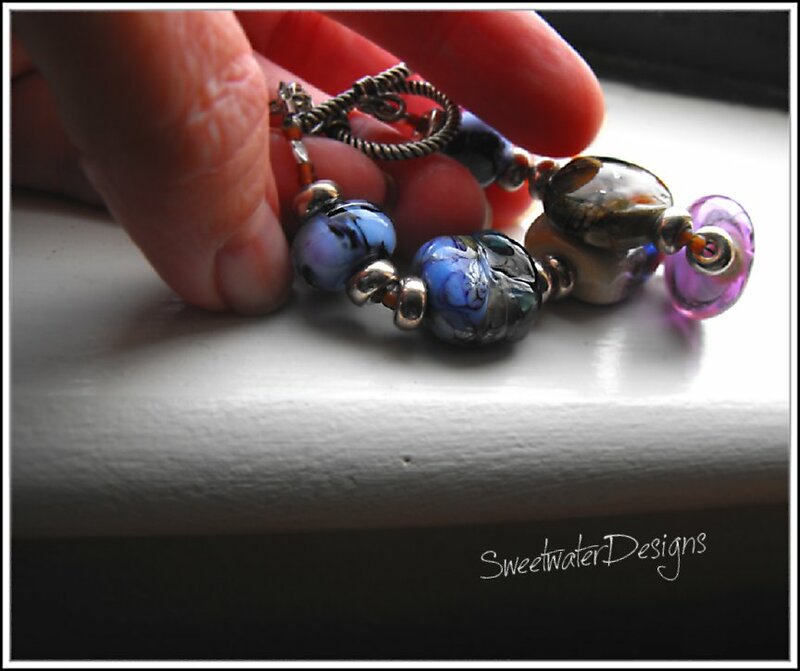 >Very pretty… I like the bit of purple tying together the blues and browns. 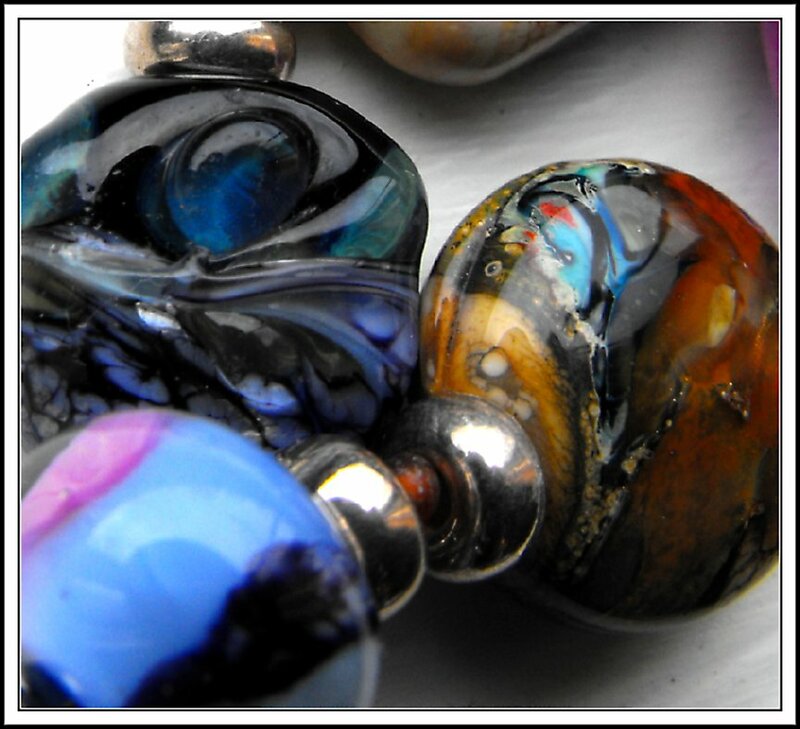 You are currently reading >Organic Lampwork Bracelet in blues and nutmeg at fireandglass.